The Western is certainly not my favourite film genre, but there are some Westerns I watch again and again. 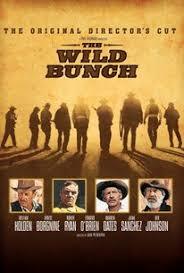 The Wild Bunch is one of them. I first watched The Wild Bunch when I was 25 and I immediately understood why my parents’ generation love Westerns so much. Directed by Sam Peckinpah, The Wild Bunch tells the story of a group of ageing outlaws on the verge of holstering their guns for the final time and riding off into the sunset, however, they need one last score to bankroll their romanticised retirement. That last score results in the Bunch being pursued from Texas to Mexico by the law. If you are like me and think this genre ages badly, check out The Wild Bunch on the big screen and you will experience the true magic of the Western.